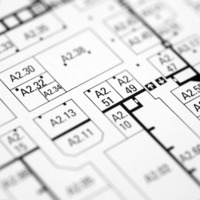 Tradeshow strategy is an important and costly element of the marketing mix. Are massive industry tradeshows running out of steam across all industries? Does the cost for manufacturers to exhibit in national tradeshows outweigh the benefits? Is it unrealistic for customers or prospects to travel across the United States for national shows due to cost? Is it time for supporters and sponsors to shift their thinking to regional events where costs can be managed for the exhibitor and attendance can be increased for the attendee? Building Product manufacturers hear the statistics, attendee registration is up! Exhibitor attendance is as strong as ever! Historically the International Builders Show (IBS) (sponsored by the National Association of Home Builders) is the can’t miss event of the year for building product manufacturers. However, despite the buzz, attendees cannot afford the cost to attend to realize the benefits. Total these items and it is not cost effective for international companies to participate in events that were one time “can’t miss”. The answer may be regional events, hosted throughout the United States, providing educational opportunities as well as product exhibits to a regional audience. The benefits are undeniable, but it’s up to each CMO to evaluate whether a national tradeshow will provide the ROI needed to justify the expense.